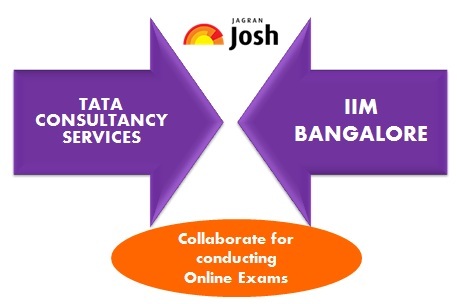 IIM Bangalore has partnered with Tata Consultancy Services (TCS) arm iON to operate and manage entrance exams for the school's online management course. Institute of Management-Bangalore (IIM-B) has collaborated with Tata Consultancy Services (TCS) arm iON to conduct exams for its massive open online courses (MOOC) programmes across the country. The courses offered by IIM-B are similar to those offers at its campus in offline mode. IIM Bangalore and iON will also jointly host collaboration communities in the management course for educators keen on learning and teaching. iON Global Head V. Ramaswamy said in the statement that “The management educators hub on our digital platform will connect institutions and publishers offering content with academia and individuals who want to learn and upgrade their skills to grow. The hub will focus on marketing, human resources, managerial economics and other disciplines of management”. Adding to it, he also said that "In the era of flipped-classrooms, we believe collaborating with TCS will create a virtual space, with focus on technology adoption to enhance blended classroom learning and other EduTech trends such as outcome-led learning and adaptive assessments." The partnership between IIM-B and TCS will enable the B-school to integrate both their strengths to serve them (students) and the faculty. The hub will also foster conversations on teaching methods and collaborate on ideas addressing its challenges and solutions. In addition, it will also invite educators from business schools across the country to be part of the community. iON is a cloud-based solution which is modular, scalable and configurable, giving businesses and educational institutions the benefit of increased efficiencies, faster go to market, predictability of technology and better business results. As a strategic unit, it focuses on manufacturing industries, educational institutions and examination boards and provides technology by means of a IT-as-a-Service model, offering end-to-end business solutions. Subscribe with us for receiving latest updates on MBA News and Notification about Top MBA colleges in India.